The Chronicles of Everstate are scenarios for a fictional state created to imagine and tell the story of the potential futures for our – very real – states or countries. They explain the political dynamics at work in polities. They lay the groundwork to explore the futures of the modern nation-state over the next twenty years as explained in the introductory article the Chronicles of Everstate: foreseeing the future of the modern nation-state. Finally, they address methodological challenges and issues. During the year, Everstate is notably faced with a critical juncture point and three possible scenarios evolve from there. 2013 – 2018 EVT – A Current Account Surplus? Think again! 2013 – 2018 EVT – Increasing wages: not enough, too late? 2013 – 2018 EVT – Learning from Water Privatization? We are republishing the whole Chronicles of Everstate considering their relevance to the second decade of the twenty-first century. This very pertinence shows the validity of our methodology and approach. Given proper resources, SF&W or risk management products are an investment for actors that can help them steer their strategies and policies not only on the very short term but also over a long time. The mapping for the Chronicles of Everstate was developed throughout 2010 and 2011. The scenarios were written between June 2011 and July 2012. For the scenarios themselves, the re-publishing process will only update the form and the technical part, but not the content, to allow for lessons learned. 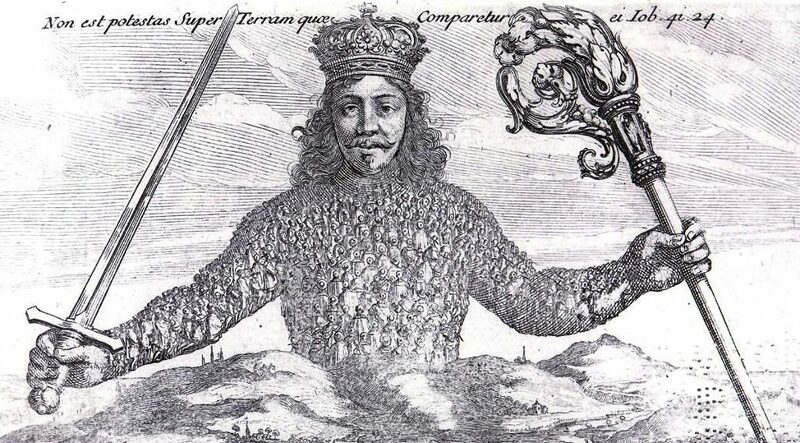 Featured image: Detail of the frontispiece of the book Leviathan by Thomas Hobbes via Wikimedia Commons.